The Elder Scrolls 6: Should Bethesda Launch a Mobile Game Tie-In Like Fallout Shelter? Will Bethesda do a ‘Fallout Shelter’ when the next Elder Scrolls nears launch? One of the big reasons that there was so much mainstream awareness around Fallout 4 leading up to its launch (and directly contributing to the massive amounts of success the game saw) was the successful launch of Fallout Shelter, a compelling but addictive free mobile game that Bethesda launched on iOS and Android at E3 last year, which served as the best advertisement for Fallout 4 that there was. Which leads us to the natural extension and follow up question: should Bethesda do it again with the upcoming The Elder Scrolls 6? Yes, it is a few years away, but that may be all the more reason to do something like that. By the time The Elder Scrolls 6 does launch, it will have been years since the launch and ensuing success of Skyrim– it’ll already be five years this November, and we have already been told The Elder Scrolls 6 isn’t happening for a few years at least. 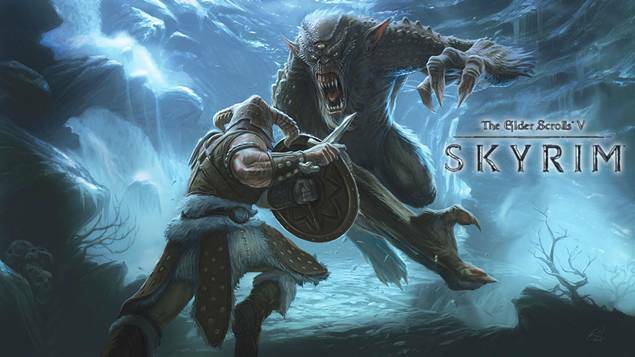 While the brand is now embedded in mainstream consciousness and pop culture, it won’t hurt Bethesda to pull on everyone’s fondness for it in the lead up to The Elder Scrolls 6‘s eventual release- a simple mobile game, possibly based on the crafting and alchemy mechanics from the game, will probably generate good word of mouth around the brand, and have more people interested in and aware of the upcoming release. Of course, an alternative already exists, but that doesn’t fit the kind of thing I am talking about here- it’s too complex, not popular enough, and too far divorced in time from The Elder Scrolls 6. A simple but addictive mobile game based on the property, launched a few months before The Elder Scrolls 6, however? That might just do the trick.